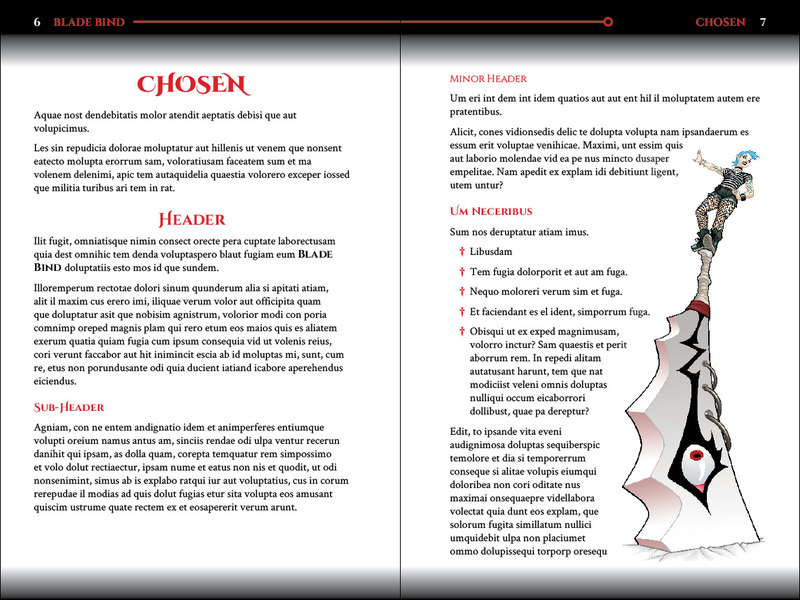 I'm still trying to get a couple of my Blade Bind playtesters together to go over the latest duelling draft, try out the character/drama-web setup, and maybe even attempt a quick game to see if anything falls off. In the meantime, I've been working on some art assets. 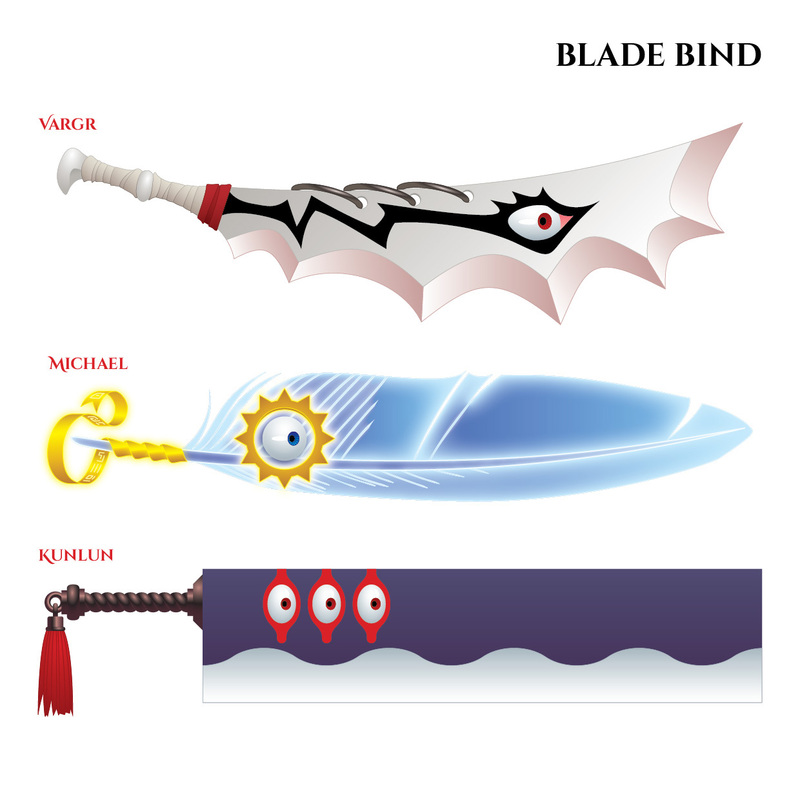 Behold, the first three completed Blade designs! I sketched them out in pencil first, then scanned them and created vector art in Illustrator. That should give me a good amount of flexibility to rescale or repurpose the images. Incidentally, I'm an experienced vector artist. I worked for fourteen years at an embroidery firm, turning people's bad logo scans into high-quality vector art. I've been doing freelance logos, icons, character sheets, and images in addition to layout and editing. If you have a need for quality handcrafted vectors, please get in contact! You can email craig (DOT) t (DOT) judd at the gmails. Pretty much all of the swords in Blade Bind are massive two-handed "buster sword" type things – it's a not-so-subtle metaphor for the melodrama and angst! I'm taking some inspiration from Soul Calibur and the manga Shadow Star (the monsters in which had creepy eyeballs that looked like they were made of shiny ceramics). Vargr is the blade from the original inspirational image I drew. It's something of a fierce, battle-hungry Blade. Michael is the feather of an Archangel, or possibly an embodiment of the Archangel himself, as a "blue flaming sword". Kunlun is one of my favourites so far; it's inspired by the style of the 3x3 Eyes manga and anime, and I named it after the lost homeland of the three-eyed folks. 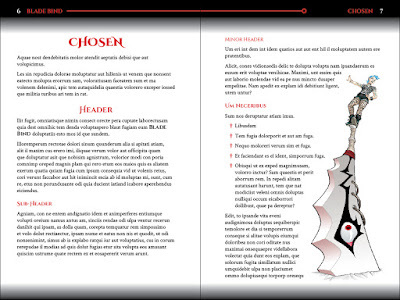 I've also been spending some time setting up a draft layout for the book in InDesign. Since I haven't finished designing the game yet, let alone writing the mechanics, that should give you some idea how keen I am! It still needs a little work – I intend to experiment with graphical flourishes or effects in the top and bottom graded strips, either adding some more red traceries or turning them into roiling tendrils of black fog. I might also see if I can incorporate some Blade silhouettes, blowing gusts of sparks, or blood-splatters, but I don't want to end up obscuring the text or putting graphics behind it because it reduces legibility. I can always add some of those embellishments to the chapter title pages. I have some other Blade images in the works that I'll post next time. Until then, I... should probably catch up on freelance work! Hopefully we'll get a chance to do that playtest in the next week or so, and I'll be able to start refining the manuscript.